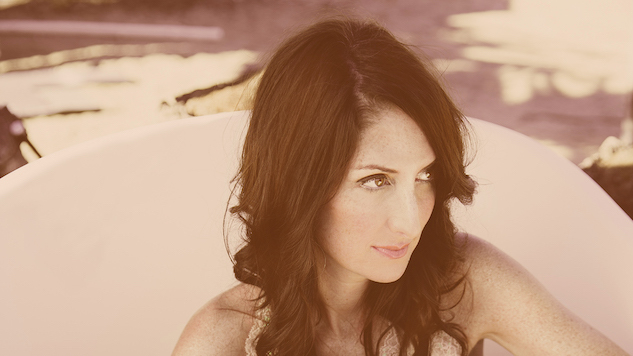 Daily Dose: Maria Taylor, "Real Life (Trump Era)"
If there’s any hope to be found, it’s through the work that artists like Taylor and her collaborators on this song, Lester Nuby III and Louis Schefano, are doing to keep our spirits aloft in troubling times. That’s the intention behind the forthcoming compilation Friends and Family Volume 1 that she and husband Ryan Dwyer are releasing on May 11th via their own Flower Moon label. The collection pulls together tunes and performances from the couple’s friends and frequent collaborators (including Taylor’s Azure Ray bandmate Orenda Fink, Nik Freitas and Whispertown), a rising tide to raise the ships that we have found ourselves adrift in for the past 18 months or so.